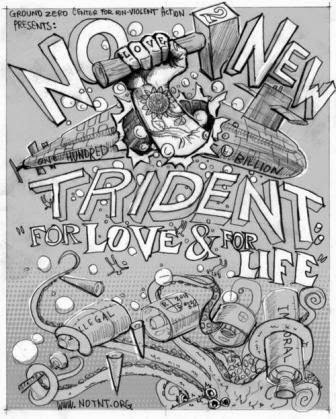 NO To NEW TRIDENT - For LOVE & For LIFE: Doom from the Depths: Coming Your Way!!! Lawrence S. Wittner, PhD, who wrote Confronting the Bomb: A Short History of the World Nuclear Disarmament Movement, has now written a concise, clear argument against building a new generation of ballistic missile submarines. Published earlier today on the History News Network, Wittner's essay makes a compelling case for scrapping plans for New Trident. The US Government's current quest for nuclear weapons modernization is sending a clear message to other nations; and they are certainly (based on the evidence) following our example. Wittner states what should be obvious: "Why not act now, before this arms race to disaster goes any further?" Do We Really Want a New Generation of Nuclear-Armed Submarines? Dr. Lawrence Wittner (http://lawrenceswittner.com) is Professor of History emeritus at SUNY/Albany. His latest book is a satirical novel about university corporatization and rebellion, "What’s Going On at UAardvark?" Ever since the horrors of submarine warfare became a key issue during World War I, submarines have had a sinister reputation. And the building of new, immensely costly, nuclear-armed submarines by the U.S. government and others may soon raise the level of earlier anxiety to a nuclear nightmare. This spring, the U.S. government continued its steady escalation of research and development funding for the replacement of its current nuclear submarine fleet through one of the most expensive shipbuilding undertakings in American history -- the phasing-in, starting in 2031, of 12 new SSBN(X) submarines. Each of these nuclear-powered vessels, the largest submarines the Navy has ever built, will carry up to 16 Trident ballistic missiles fitted with multiple nuclear warheads. All in all, this new submarine fleet is expected to deploy about 1,000 nuclear warheads -- 70 percent of U.S. government’s strategic nuclear weapons. From the standpoint of civilians, the new Trident submarine fleet is somewhat less appealing. Strategic nuclear weapons are the most destructive weapons in world history, and the use of only one of them over a large city could annihilate millions of people instantly. If the thousands of such weapons available to the U.S. government and other governments were employed in war, they would incinerate most of the planet, reducing it to charred rubble. Thereafter, radioactivity, disease, nuclear winter, and starvation would end most remaining life on earth. Of course, even in an accident, such weapons could do incredible damage. 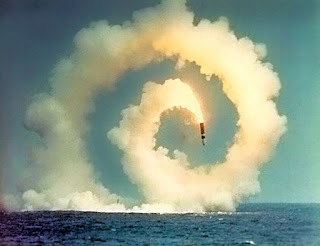 And, over the years, nuclear-armed submarines have been in numerous accidents. In February 2009, a British and a French submarine, both nuclear-powered and armed with nuclear missiles, collided underwater in the middle of the Atlantic Ocean. Although the two vessels were fitted with state-or-the-art detection equipment, neither spotted the other until it was too late to avert their collision. Fortunately, they were moving very slowly at the time, and the damage was limited (though enormously expensive to repair). But a sharper collision could have released vast quantities of radioactive fuel and flung their deadly nuclear warheads across the ocean floor. In addition, when the dangers are so immense, it is worth keeping in mind that people, like the high-tech nuclear submarines, are not always infallible or reliable. Submarine crews -- living in cramped quarters, bored, and isolated for months at a time -- could well be as plagued by the poor morale, dishonesty, drug use, and incompetence found among their counterparts at land-based nuclear missile facilities. Taxpayers, particularly, might be concerned about the unprecedented expense of this new submarine fleet. According to most estimates, building the 12 SSBN(X) submarines will cost about $100 billion. And there will be additional expenditures for the missiles, nuclear warheads, and yearly maintenance, bringing the total tab to what the Pentagon estimated, three years ago, at $347 billion. The expected cost is so astronomical, in fact, that the Navy, frightened that this expenditure will prevent it from paying for other portions of its shipbuilding program, has insisted that the money come from a special fund outside of its budget. This spring, Congress took preliminary steps along these lines. People might be forgiven for feeling some bewilderment at this immense U.S. government investment in a new nuclear weapons system -- one slated to last well into the 2070s. After all, back in April 2009, amid much fanfare, President Barack Obama proclaimed “America’s commitment to seek the peace and security of a world without nuclear weapons.” This was followed by a similar commitment to a nuclear weapons-free world made by the members of the UN Security Council, including five nuclear-armed nations, among them the United States. But, as this nuclear weapons buildup indicates, such commitments seem to have been tossed down the memory hole. In arguing for the new Trident submarine fleet, U.S. military leaders have pointed to the fact that other nations are maintaining or building nuclear-armed submarines. And they are correct about that. France and Britain are maintaining their current fleets, although Britain is on the verge of beginning the construction of a new one with U.S. assistance; Israel reportedly possesses one; China is apparently ready to launch one in 2014; India is set to launch its own in 2015; and Pakistan might be working to develop one. Meanwhile, Russia is modernizing its own submarine ballistic missile fleet. Even so, the current U.S. nuclear-armed submarine fleet is considerably larger than any developed or being developed by other nations. Also, the U.S. government’s new Trident fleet, now on the drawing boards, is slated to be 50 percent larger than the new, modernized Russian fleet and, in addition, far superior technologically. Indeed, other nations currently turning out nuclear-armed submarines – like China and Russia -- are reportedly launching clunkers. In this context, there is an obvious alternative to the current race to deploy the world’s deadliest weapons in the ocean depths. The nuclear powers could halt their building of nuclear-armed submarines and eliminate their present nuclear-armed submarine fleets. This action would not only honor their professed commitment to a nuclear weapons-free world, but would save their nations from making enormous expenditures and from the possibility of experiencing a catastrophe of unparalleled magnitude. Why not act now, before this arms race to disaster goes any further? Editor's Note: The blog post title is the original title given to this article by Wittner.